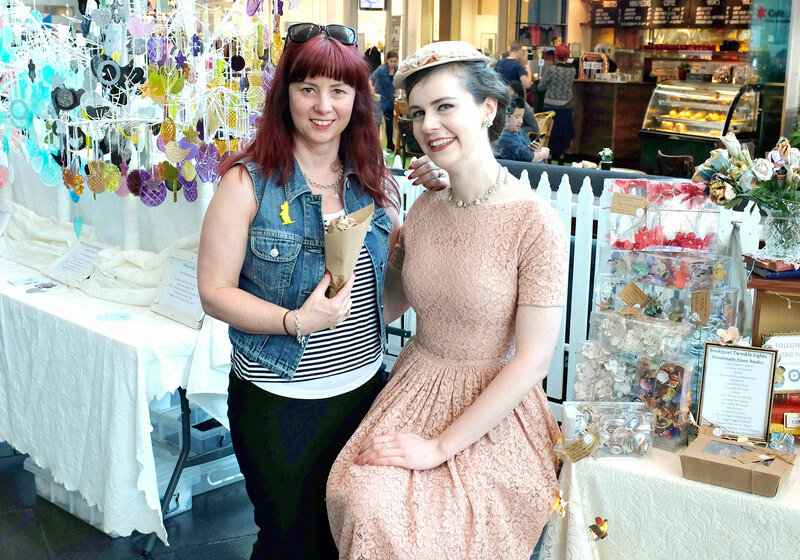 I first met Miss Poppins when we both modeled for Miss Chrissy at the Melbourne Craft Fair back in June last year, and I have been wanting to show you her beautiful hand made creations ever since. 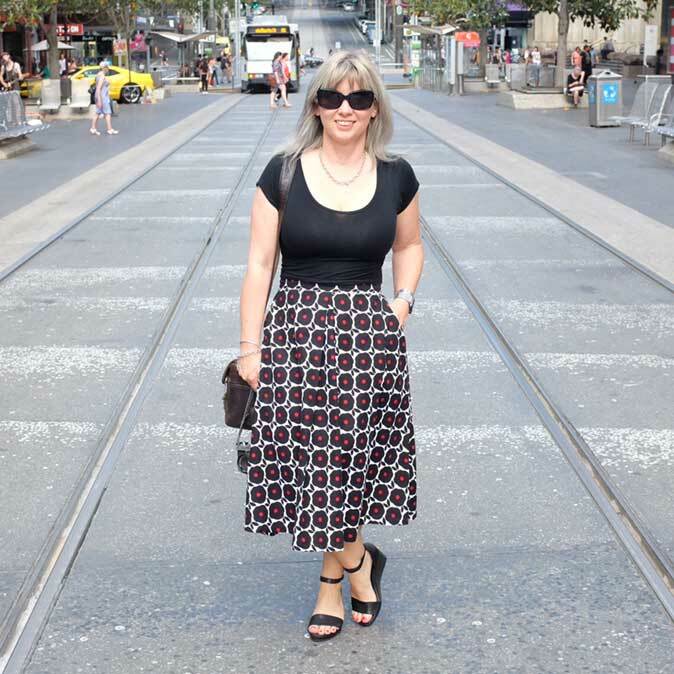 We finally crossed paths with her at a Melbourne market a few weekends ago, and it was so lovely to see her….look how beautifully she is dressed! Miss Poppins grew up watching her favourite film ‘Mary Poppins’ when visiting her Grandma’s house. 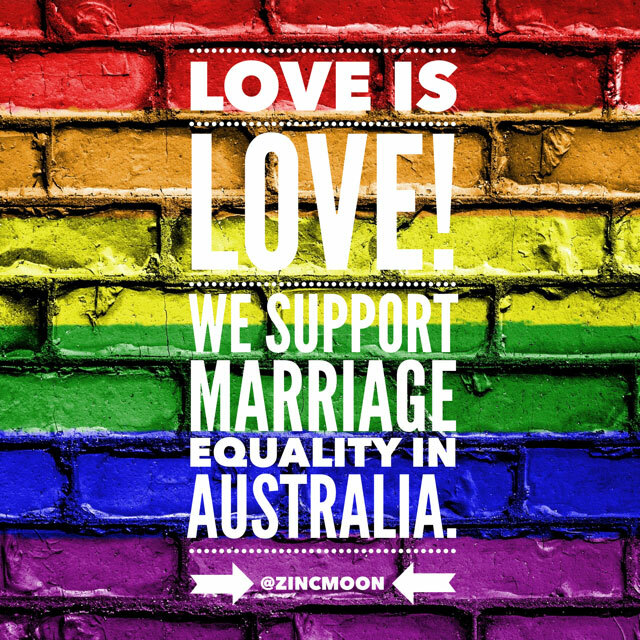 This had a rather big impact on her because when she grew up & completed a Bachelor of Visual Arts at USQ, where she majored in sculpture, Miss Poppins became a nanny in London just like her beloved Mary. 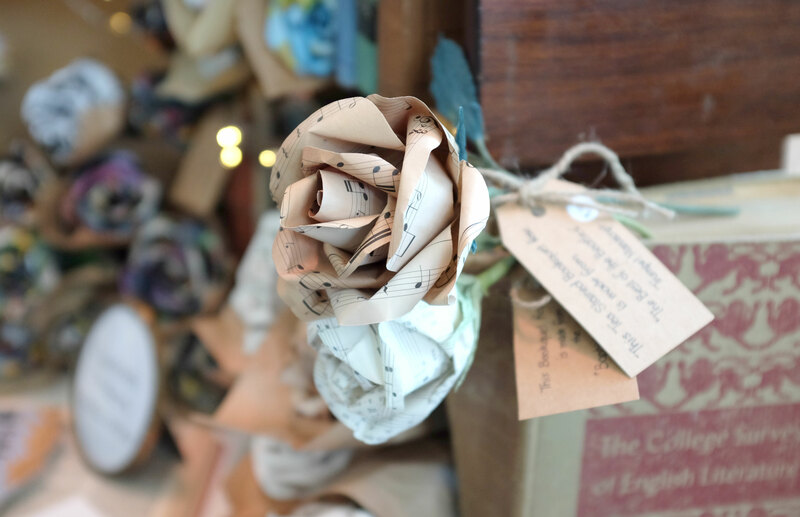 Eventually, she returned back to Australia and since 2014, she has been creating paper roses from books by lovingly & individually hand cutting each petal & leaf, assembling & gift wrapping bookquets. 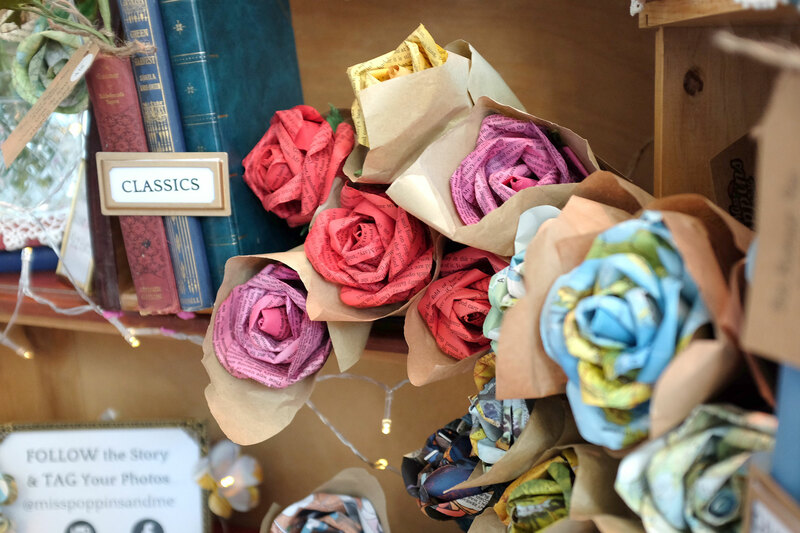 An interesting choice since she has is not exactly a bookworm and has a black thumb when it comes to gardening, but there is no denying that Miss Poppins creates blooms of magic from pages of pre-loved books…and not just words…music too! 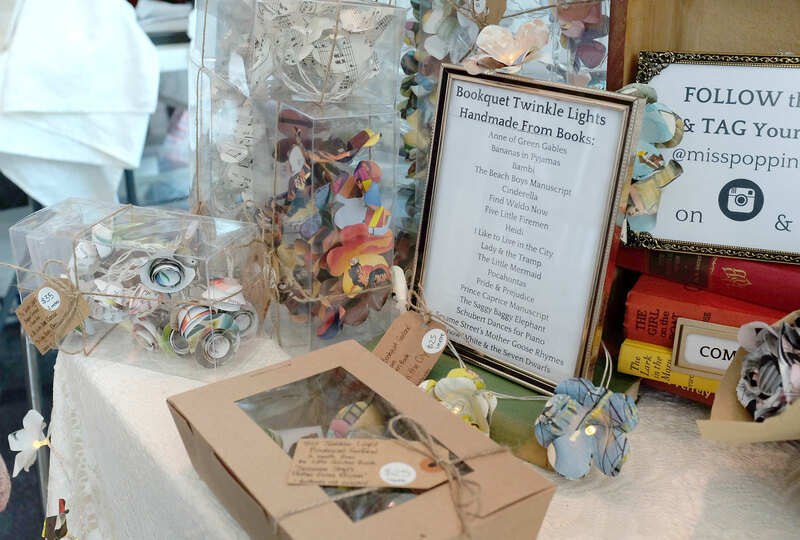 She has also designed twinkle lights…they are battery operated LED lights so they don’t need electricity and can be placed anywhere. 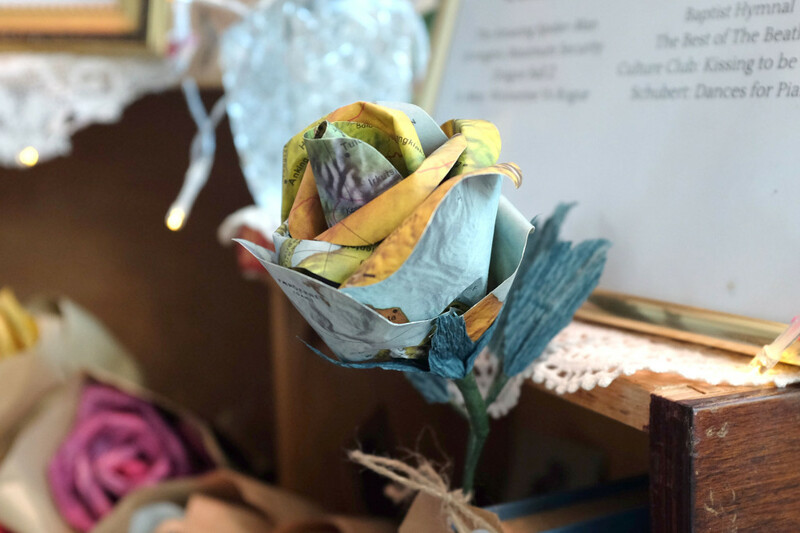 We couldn’t resist this tea stained flower…made from The Best of the Beatles music…for the trumpet! 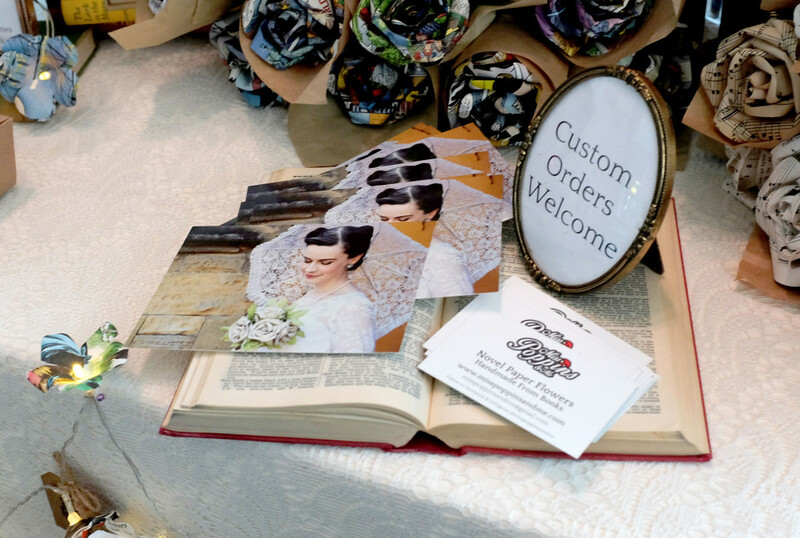 So if you are looking for something unique for your wedding,or a original centerpiece for a table, or perhaps something for a very special someone, contact Miss Poppins and see what magic she can create for you! 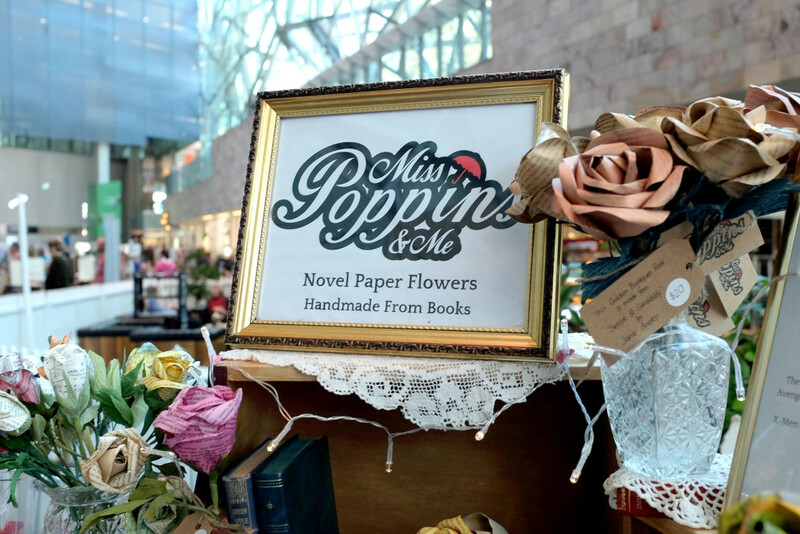 Click here to find out more about Miss Poppins and Me, and to buy a paper flower or two of your own from her Etsy shop…she can ship worldwide! 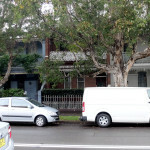 Great blog on my friend Miss Hannah Poppins! Miss Poppins is a lovely lady and artist, indeed. I’ve had the honour of knowing her for a few years now and I’ve been a very grateful recipient of her beautiful flowers. What I love most about her products is that she really does take the time to craft each one with thoughtfulness and love. 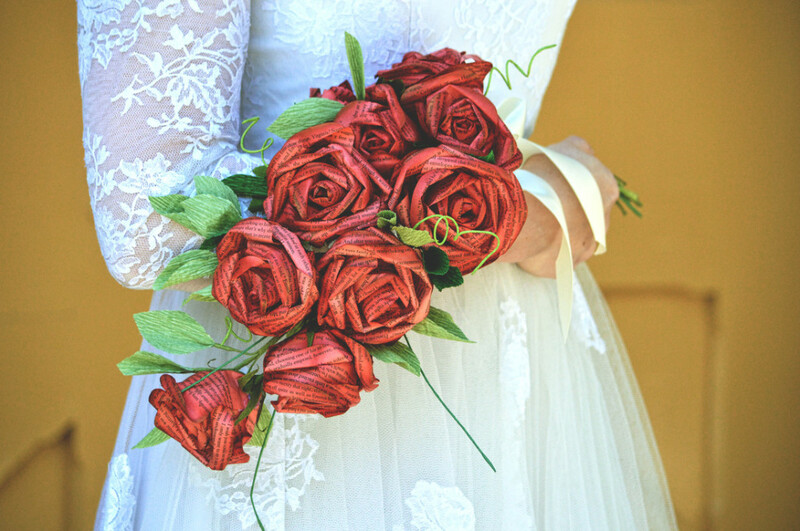 No detail is missed with her bookquets. 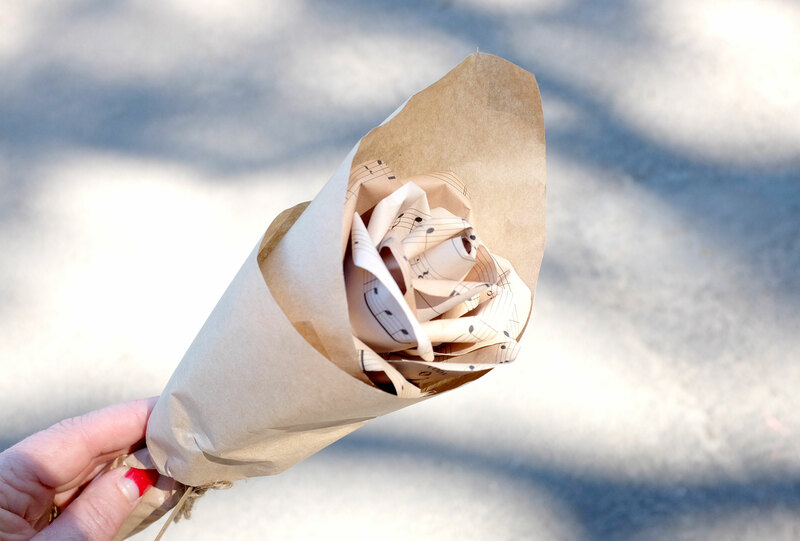 Once you get your first flower, you’ll be asking yourself why you didn’t get them sooner. I love this lady and her work!